Layers of corn tortillas, ground beef, and a creamy cheese sauce all make up this tasty Mexican-style casserole recipe from Capper's Farmer. It's easy to put together and is out of the oven in 30 minutes, ready to satisfy those hungry mouths. This delicious and comforting dinner is one the whole family will love. 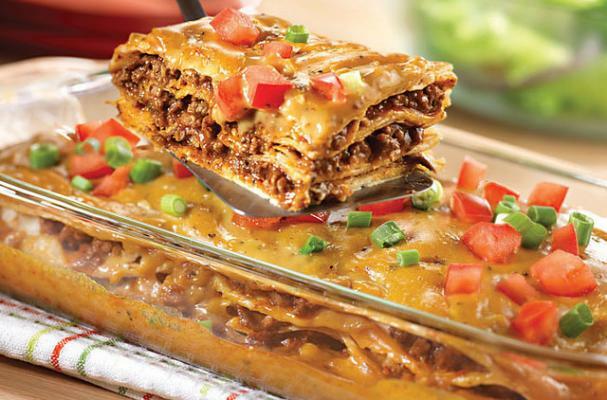 Who wouldn't love a plateful of layers of meaty cheesy goodness? Get the full recipe and instructions from Capper's Family here!